Why should I choose our services? How much does interpreting service cost? How much does transcription service cost? What if I need it by tomorrow? In what format can I expect to receive my work? How will the confidential information in my document be secured? Can I work as a freelancer? What should I do if I am interested in a full-time position? As standard operating procedure, we always provide our client an overall price for each project meaning, as soon as we receive your file, we will provide you with a cost quote and turnaround-time. The costs of interpreting service is usually calculated based on various factors such as the type of interpreter required, the number of interpreters, the number of (half) days and the travel distance for the interpreter. Feel free to contact us for a free quote. It is obviously dependents on various factors such as the sound quality of the audio file provided, the feature of audio (i.e. an interview, focus group, etc.) and the turnaround-time. Normally, the transcription of one-on-one interview is cheaper than the focus group. • You go to the “online quote” tool and follow the instructions from there. 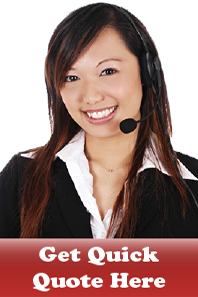 • You can also call us right away at (+855) 23 864027 if you have any questions. We understand your needs. If your work is urgent, we will be happy to accommodate your rush project by assigning it to a carefully chosen team of linguists. We will do our best to meet your goals. However, 30% extra charge will be applied for such a rush assignment. It will be in the same format as the original document or as to what was agreed upon. This means you will not need to reformat it! In order to do this we need you to send us your text as an electronic file so that it is technically possible for the work to be carried out using the requested format. Private individuals are asked to pay within 5 days of delivery of the output at the latest. When we deliver you the output, you will also receive the enclosed invoice with detail information on making the payment. For new customers, we normally request a 30% deposit of an order over US$100. For larger scale projects or for corporate clients, we typically issue an invoice payable within 30 days, or based on an agreed payment schedule. It is important to note that we work exclusively with native-speakers who are professional linguists with specific industry background. We understand your business and your concerns. Our linguists pride themselves on their professionalism and are sensitive to the need to safeguard confidential information. They are also required to sign a confidentiality agreement before working for us. In addition, both our professional linguists and our company representatives will sign a legally binding non-disclosure agreement to assured that the confidentiality is 100% guaranteed. In the unlikely event that you might not be happy with the quality service provided, we will complete the work again, at no additional cost, until you are happy with the finished output. If the quality of output still doesn't meet your requirements, we will provide a 100% refund for the work.